Any student who comes to class this week wearing a shirt like this gets extra credit! I am a big Elvis Presley fan. This past January I finally got to go to Graceland, Elvis’ house in Memphis, Tennessee. It was a bit of a dream for me, so I had a great time. But what does that have to do with you, English Learner? What if you hate Elvis? Well, too bad. Your homework assignment this week is all about Elvis. 1. First of all, read this post. It talks about run-on sentences, which are a big problem in English. Many of your comments have generally good English, but the structure is a bit poor. Many of you are using reeeeeaaaallllyyyy long sentences, and just combining multiple sentences with a comma. You can’t do that in English. Read the post to find out why, and do some of the exercises at the end of the post. 2. 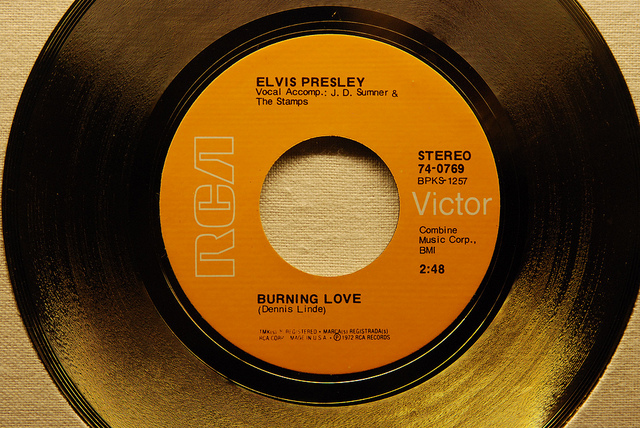 Then, choose an Elvis song (you can’t use “Burning Love,” though, since we worked with it in class yesterday). This list is very complete and can help you find one. Also check on YouTube for videos. Try to choose one you like. My tip: “Fat Elvis” (when he was later in his career) usually had better and “deeper” songs than “Skinny Elvis” (when he was younger). 3. In your comment below, include the name of the song, a link to the song (either on YouTube or some other site where other classmates can listen to it), and a link to the lyrics. A. Why did you choose this particular song? B. What is the song about? Does it have a message? Write a few sentences. C. Are there any new or difficult words in the lyrics? If so, what are they? D. Do you have any other thoughts or comments? As in previous weeks, this is especially for my students, but anyone who wants to participate is very welcome–it’s Elvis Week, after all! Good luck, and keep on rocking! jailhouse, because the guardian organize a party. Spider Murphy played the tenor Saxofone. The rhythm section was called the Purple Gang. Stick=a thin piece of wood that has been cut from a tree and use the oldest people. That’s a good song! I’m not always a big fan of Elvis’ older songs, but I do like that one a lot. Also, a “stick” can just refer to any piece of wood, especially a tree. But if you’re talking about what old or injured people use, you’re probably thinking of a “cane” (the curved one) or a “crutch” (which often fits under your armpit). Actually there are many songs that I love. Elvis Presley is for me one of the best singers who have left their mark on the world. Definitely one to remember forever. Within the songs I like are : Grease Lightning, Grease: You are the one I want, Only you, and many others. 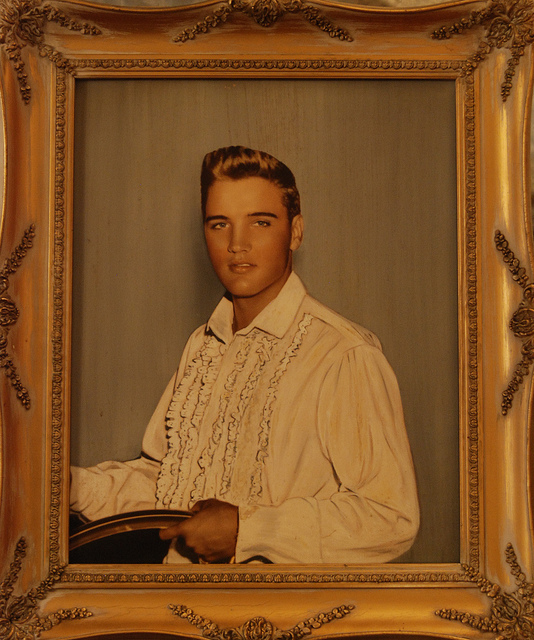 Elvis’s songs have something in particular that cause listen them again and again. I listened several songs for a while until finally chose ” Only You” . The reasons were because without reading the lyrics before I could understand it. Also because having a slow rhythm Is better to hear the words and sentences with more clarify, besides he uses simple vocabulary. And the most important aspect about why I chose this song is because he sings with his heart and soul in name of the love! As you can see , the song is about of express his feelings to his couple. Also describes how love can change people’s lives, and he expresses that she is his destino and a dream come true. That’s a good song, but I’m pretty sure that’s not Elvis singing it (and Greased Lightning was John Travolta, I believe). Nevertheless, you still had good information and you did the assignment, so nice work. Well, you must be right, you are the number one fan of Elvis Presley. But I swore that these songs were written by Elvis Presley and that at some point the interpret John Travolta. I keep hearing the most famous Elvis songs because I love them. But also because of our conversation I seeing the movie Grease … since John Travolta and Olivia Newton are the main actors actors. I love this movie too . Ohhh !!! I almost forget…. The only thing good about me absent last week , was have skipped wearing a shirt like that of Elvis Presley. Surely I would not be at all well. And you Ryan ? Did you weare some striking design and impressed my classmates…. ? And as for wearing a Frilly Elvis Pirate Shirt, you or any of your classmates can still wear one for the final exam and get extra credit! He song is about the love that sometimes we do not value our partner. The song he tells her that he had to hug her and tell her more about the love he had for her, and that always has in mind. I liked the song that many times, people do not realize they have wonderful people who love them and until that person leaves, or stop loving them realize what so ever appreciated. I never heard Elvis Presley, but i liked the song lyrics. I agree, that’s a great song! It’s one of my favorite slow Elvis songs.